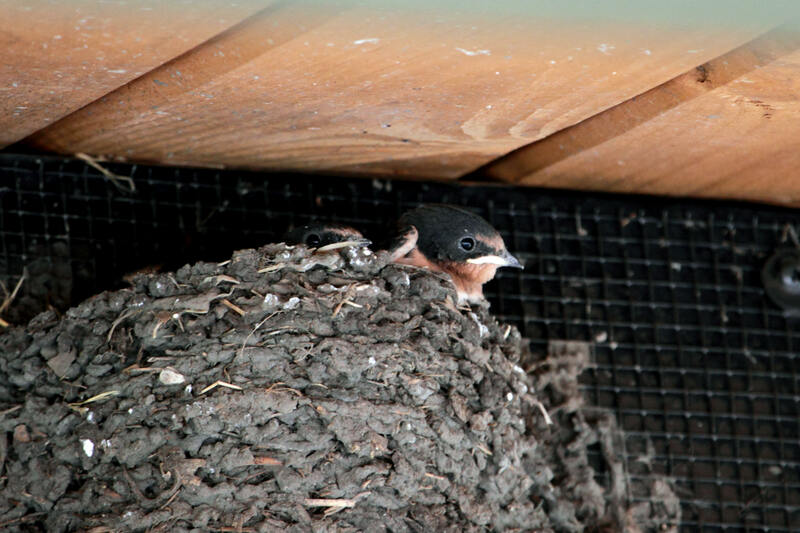 I did get a shot of a couple nestlings in their shelter mud nest. 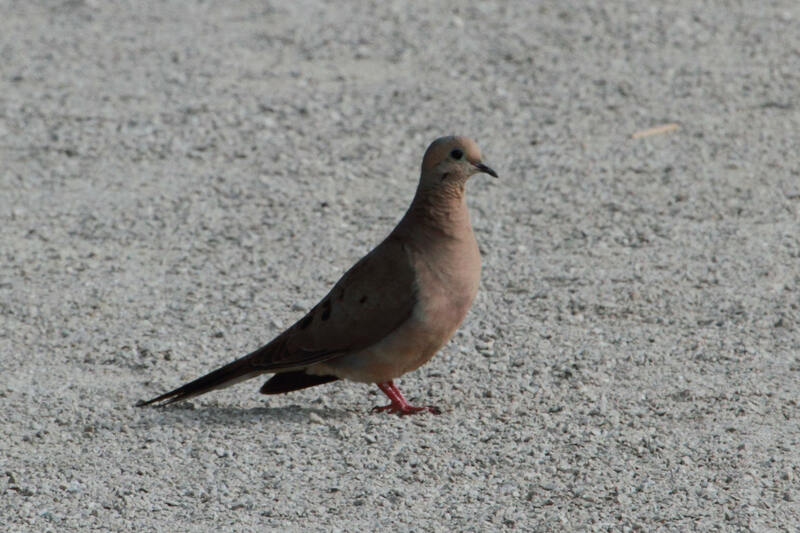 or the Mourning Dove below. A lot of gray tones going on here. But the morning light gives the dove its pinkish color anyway. I confess I am presently too lazy to figure out this wildflower. If you know this blossom, please chime in. 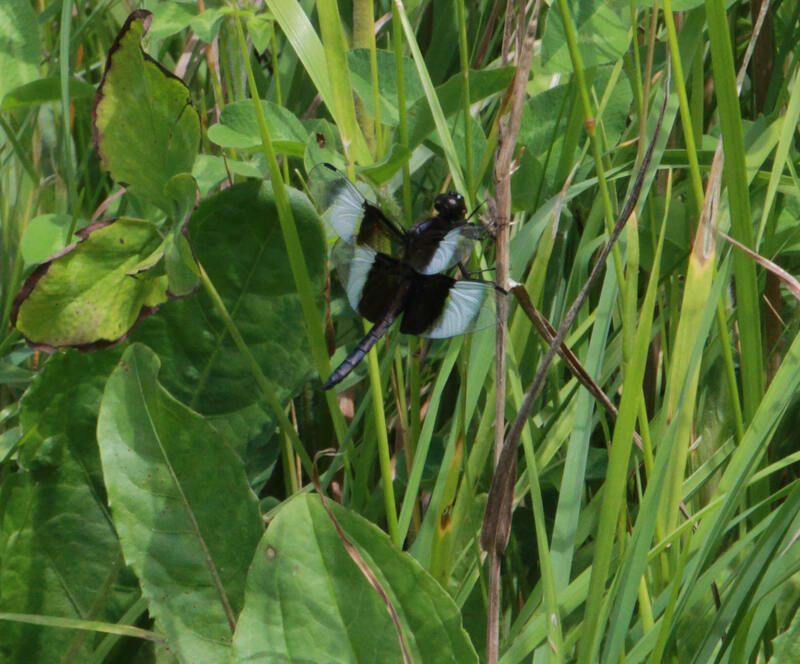 Widow Skimmers are pretty common, though. Enough to be readily identified. 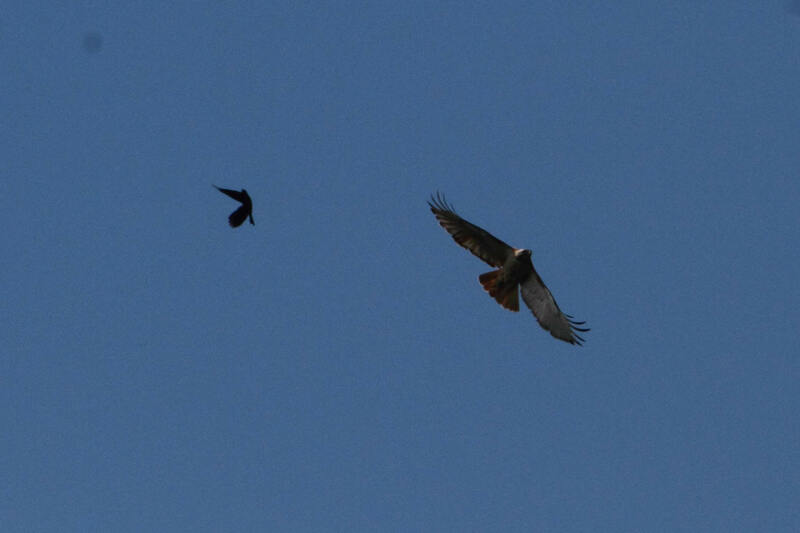 Then there was the Red-Winged Blackbird that took on the Red-Tailed Hawk. 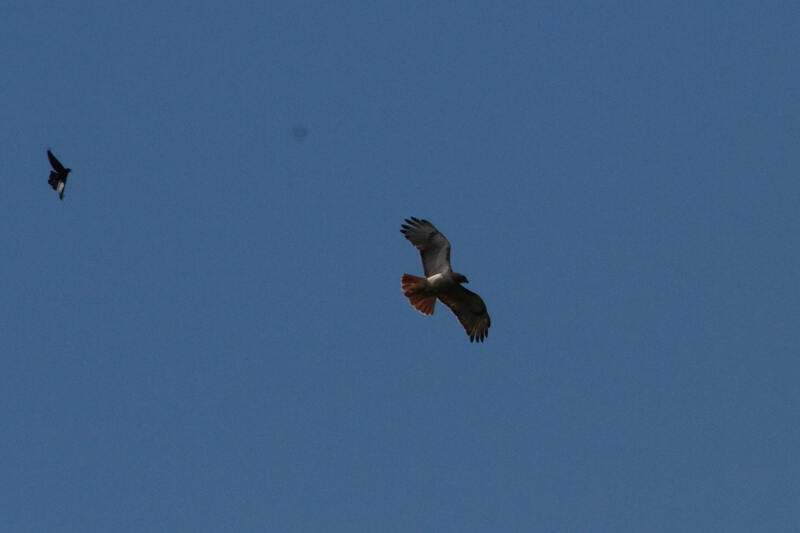 The hawk was not happy. Click on the pictures if you want to see them larger (I just figured out how to do this, it’s only been 2 years). 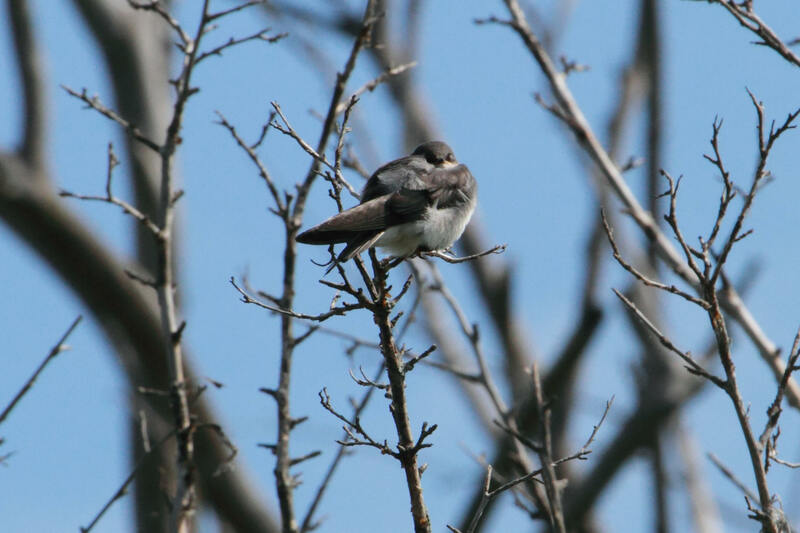 Even this Tree Swallow, which is normally quite blue-looking, looks gray here as it naps. 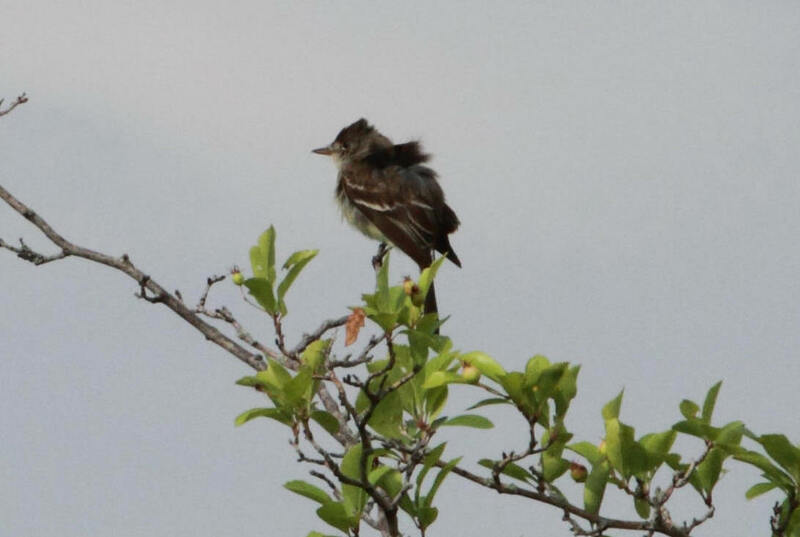 To make identification of Empidonax flycatchers easier on us, ebird allows us to check off “Willow-Alder” instead of making it definitely one or the other. While I heard a Willow and I believe this is probably a Willow, I’m not so sure because I did not see it in conjunction with hearing its call. And the most noble gray bird is also blue…and always a welcome sight. More to come from the field soon. I also have some recordings coming up. But tomorrow’s early rise calls. 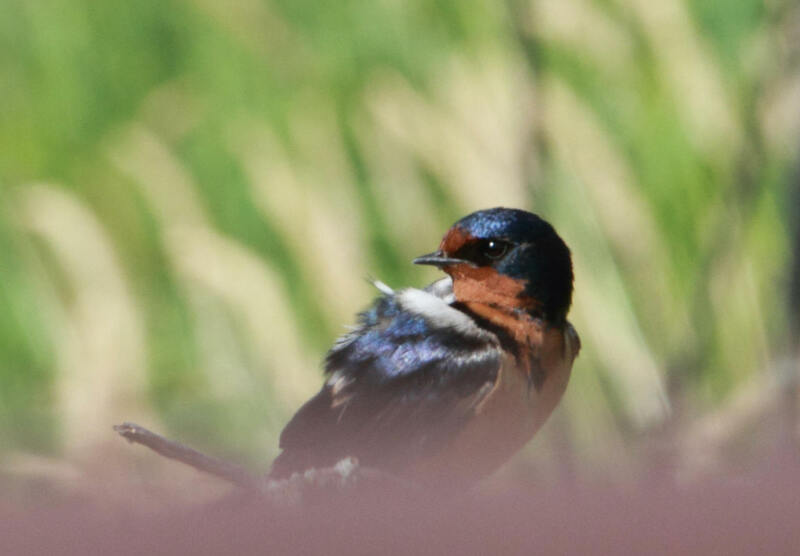 This entry was posted in baby birds, birds, photography and tagged Alder Flycatcher, Barn Swallows, Gray Catbird, Great Blue Heron, Red-Tailed Hawk, Red-Winged Blackbird, Tree Swallow, Tri-County State Park, Widow Skimmer, Willow Flycatcher, Willow-Alder Flycatcher by Lisa Rest. Bookmark the permalink. I found your site through the Tree Swallow tag. 🙂 I wonder if your Tree Swallow is a youngster. I think I see a hint of the gape flange. Young ones are not blue. Your unknown flowers look to be a type of Cow Slobber. 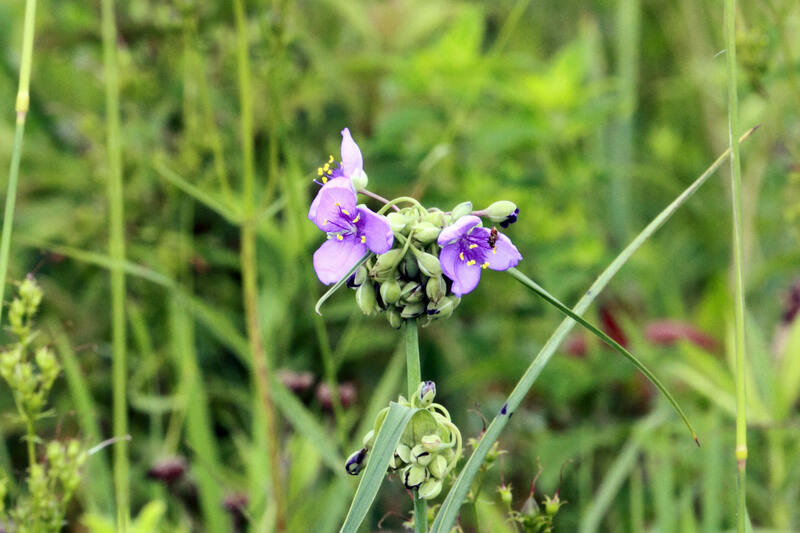 That is a lesser known common name of Spiderwort. 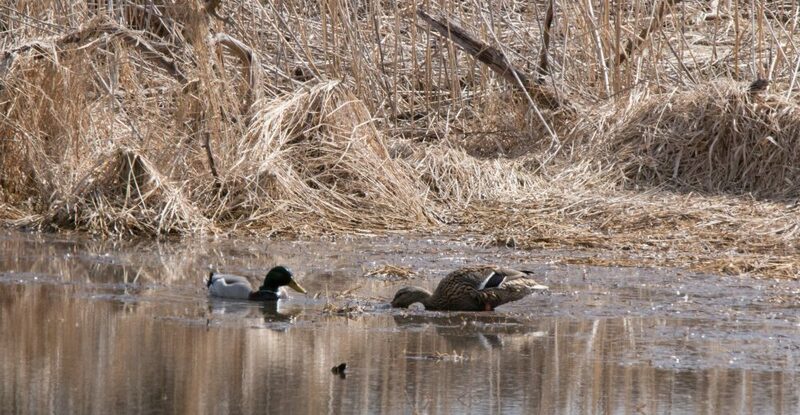 We have the Ohio variety in our little native patch, but we prefer calling it Cow Slobber. This appeals to the little boys we have running around. You have some nice photos. It’s been awhile since I’ve been out taking pictures of birds. Many of them are through the windows right now until it cools down a bit. Thanks for your comment. I’m sure you’re right about the Tree Swallow…and a juvenile should be napping anyway. 🙂 Thanks also for the Spiderwort, I won’t forget it now. The heat has made me too lazy to look up things myself. Great pictures! 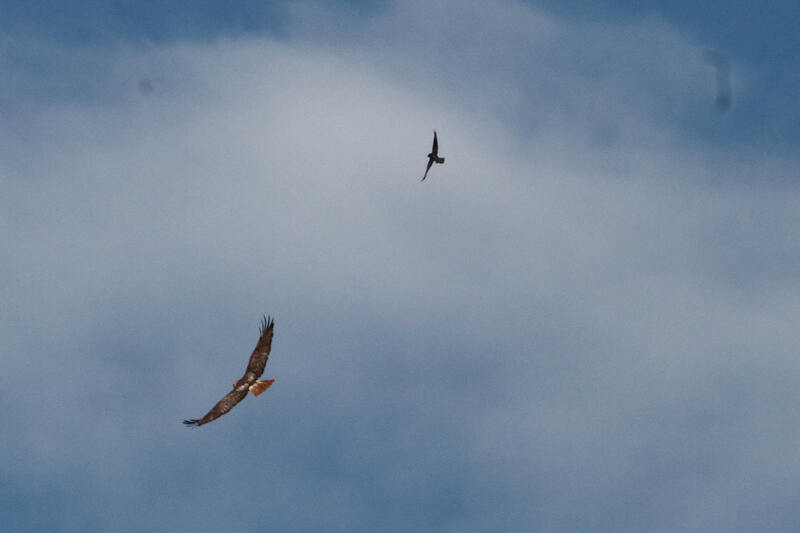 I love the redwing blackbird taking on the hawk! Standing up for the little guys (birds)! 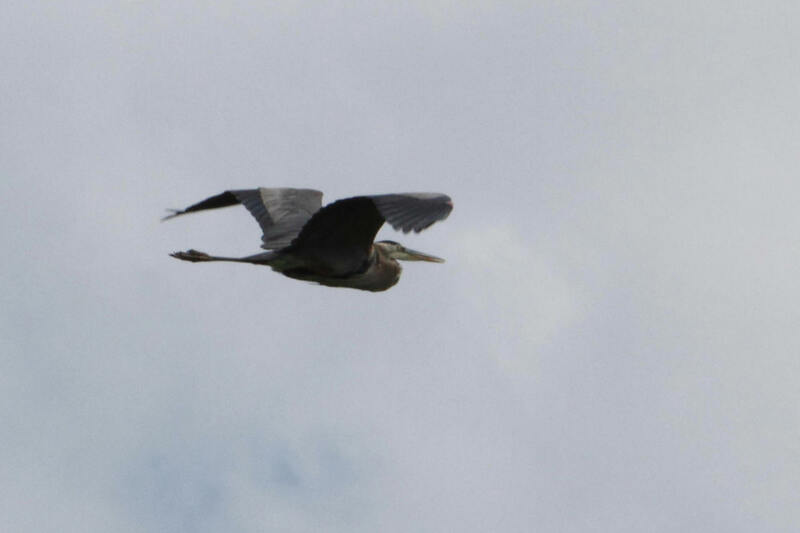 Also love the blue heron in flight.